“It’s the biggest story [that’s] never been told.” That’s how former Lieutenant Governor of Ontario James Bartleman describes the annual Indigenous Summer Reading Camps program that has been in operation in the province since 2005 and now stretches across the country each year. Run in partnership with the charitable organization Frontier College, and funded by monetary and in-kind contributions from TD Bank, the Ontario Ministry of Education, the Ontario Teachers’ Federation, and various educational, governmental, and private businesses across the country (including Scholastic Canada, Kids Can Press, Coach House Books, and Orca Book Publishers), the Summer Reading Camps initiative provides opportunities for remote Indigenous communities to take part in summer programs focused on promoting literacy, STEM learning, and cultural activities. 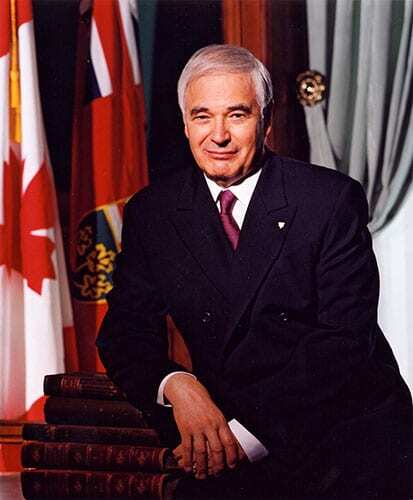 The camps grew out of Bartleman’s experience as Ontario’s first Indigenous Lieutenant Governor, during which time he would visit remote fly-over communities in the northern part of the province. “What shocked me was the fact that the schools were in such terrible shape,” he says. “And secondly, that they didn’t have libraries. In many cases they had bookshelves, but there were no books.” During his tenure as Lieutenant Governor (which ran from 2002 through 2007), Bartleman became passionately involved in attempts to bring books and literacy to these remote Indigenous communities – a passion that resulted in the inauguration of the Indigenous Summer Reading Camps. In his efforts to get the camps off the ground, Bartleman raised $8 million dollars and came up with a model that would cost $32,600 per camp. “I wanted a bootstrap operation,” he says. This bare-bones model incorporates involvement from the participating communities, including having each community provide accommodation for camp counsellors. This, Bartleman says, is something the various communities are more than happy to do. “It’s just a prejudice to say that Native people are not interested in the education of their kids. They are very keen. I think the success [of the camps] is based to a huge extent on the support of the communities.” Bartleman also approached various universities to chip in and solicited funding from private companies such as De Boers, which contributed money for three camps over a five-year period. Frontier College president and CEO Stephen Faul is enthusiastic about the success of the Summer Reading Camps. According to the 2018 annual report, the camps reached 2,211 children in Ontario alone. The report goes on to state that 97 per cent of parents and caregivers said the camps encouraged children to enjoy reading for pleasure and 77 per cent agreed that the camps prepared their children to return to school. They also hand out books to Indigenous child readers each year: Faul estimates that in 2018 they distributed close to 100,000 books nationwide and 4,000 within Ontario.